Kingdom Death is a cooperative tabletop board game. Set in an inimitable nightmarish world that’s brutally challenging, enormously deep, and lacking most natural resources, the game involves players’ controlling a settlement, which is at the initial phase of its existence. The captivating world of Kingdom Death has you fighting monsters, creating weapons and gear, and expanding your settlement to make sure you survive from generation to generation. Kingdom Death’s world has recently grown with the Kingdom Death: Monster 1.5, which has brought several changes and upgradations to the core game in addition to introducing new content via sixteen new expansions. You can learn more about the game at the Kingdom Death website. Conceived by board game designer Adam Poots, Kingdom Death was originally a line of limited-run, high quality, resin miniatures. Poots conceived the game’s initial idea at around 2008. In 2009, he ran a Kickstarter campaign to raise approximately $1700 for producing one figurine for the game. He had found a European artist by 2010, who was capable of mass production of the figures in resin, and started working with him. 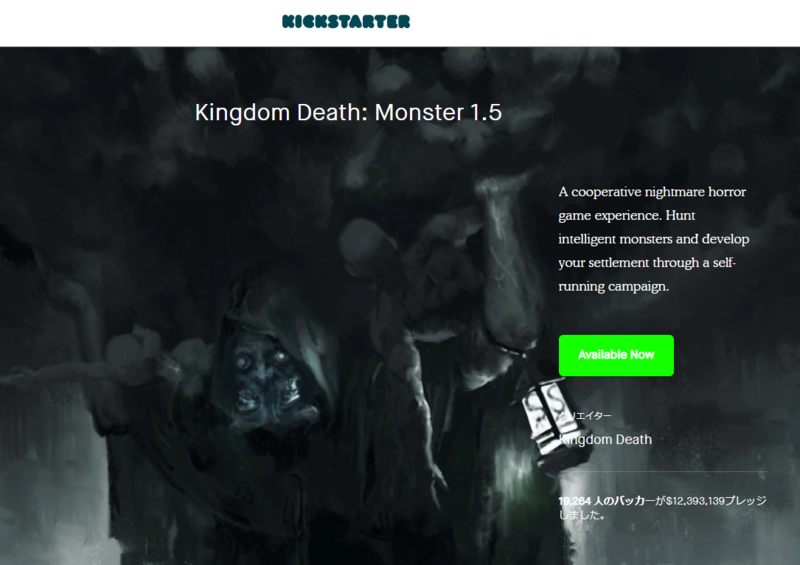 In 2016, Poots launched another Kingdom Death Kickstarter seeking $100,000 to promote an updated printing of the game called Kingdom Death: Monster 1.5. Within just 19 minutes of going live, the campaign raised $1 million. What’s more, at least $5 million was promised within a week. Since Kingdom Death: Monster 1.5 is the latest offering in the series, let’s take a look at how to play it. Dubbed as 19 lbs of nightmare horror gaming, the game comes with a hardcover rulebook running into 235 pages, 18 hard plastic miniatures, 400+ exclusive pieces of art, 1000+ matte game cards, and 86 full-page illustrations. Campaign System: You start your 30 lantern year campaign alone or with 4 friends at the maximum (6 in case you have game variant). Every lantern year will move through a hectic hunt, a fight with a monster, and your settlement’s development. Monster AI System: You will have to battle it out with 8 monsters, each of which is controlled by its own pair of decks that scale up to 3 levels of difficulty. This is except for the concluding encounter, which comprises just 1 level but is extremely difficult. Gear System: The game’s survivors will create gear using resources they have earned from finding their hunt or defeating monsters. Every survivor has a gear grid and can place a maximum of 9 pieces of gear at a time. The type of gear you will carry and the way you position it can unlock advantages that could make a big difference between life and death. Story Event System: Your unique campaign will be shaped by 40+ story events. These events cover everything from creating your settlement and fighting a monster to impressive turning points in your settlement’s history. Your settlement’s discoveries and decisions will have an effect on how the story events unfold. To get a better idea about how to play Kingdom Death: Monster, you can click here. You can get more details about the game’s rules here. You can expand the core game by having additional monsters to hunt, and/or with new Gear cards. Every new monster includes the monster-specific miniature, cards related to the Showdown and Hunt phases, new Gear cards, and in some cases, new Settlement cards related to that monster. Usually, such additional monsters are brought into the game by adding new Settlement Events to the core game, which compel the players to fight the monster. 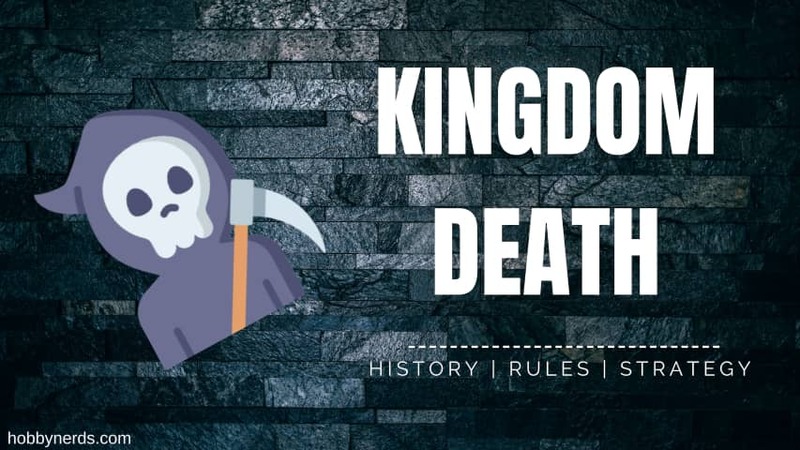 Each Kingdom Death expansion also comes equipped with a small rulebook that lays out a detailed plan of its integration into the core game together with any new Story Events or special rules. Kingdom Death miniatures are designed and sculpted by the planet’s finest artists, making each of them a magnificent art piece to be cherished. By employing traditional techniques, each miniature is hand-casted in resin by expert mold makers, thus ensuring they are crafted to an inimitable standard and stay true to the original sculpture. Despite the time-consuming production, Kingdom Death miniatures are stunning, limited-quantity editions that are worth the entire effort and detailing that goes into the process. Whether you are a solo player and find the game set-up too cumbersome to start resuming play after the previous session, or are a pro and need to discuss the finer aspects of the game that you love and/or don’t like, Kingdom Death Reddit is the place to head straight to. Be it debating the pros and cons of the gaming system, explaining the game’s appeal to naysayers in an effort to convert them, doing a comparative study of Kingdom Death vs. Gloomhaven, a lot happens on Reddit, which is sure to keep the game’s enthusiasts and the novices learning the ropes equally hooked. In case you have any problems with the game (playing it, understanding the rules, issue with shipping, or anything else), you can even get quick help from the extensive community of Kingdom Death Redditors.